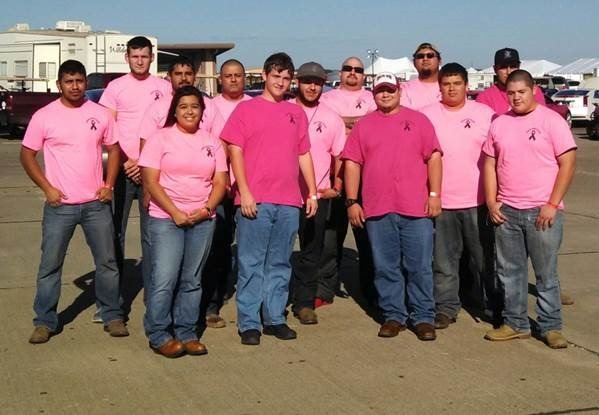 Coastal Bend College automotive students recently assisted in the Texas Mile event held in Beeville, Texas. The Texas Mile marks a unique opportunity for students to gain hands on experience and knowledge in the automotive field. “The CBC automotive students have been assisting since October 2011 with this event, and they get to see and work on vehicles that they would not normally have access to in Beeville. It’s great to be able to provide these unique opportunities for students at CBC. We had a great time and can’t wait until March 2014 when the Texas Mile returns,” said CBC Automotive Technology Instructor Brian Anderson. For more information on enrolling in the CBC Automotive Technology Program in spring 2014, contact Brian Anderson at (361) 354-2528 or email bandy@coastalbend.edu.